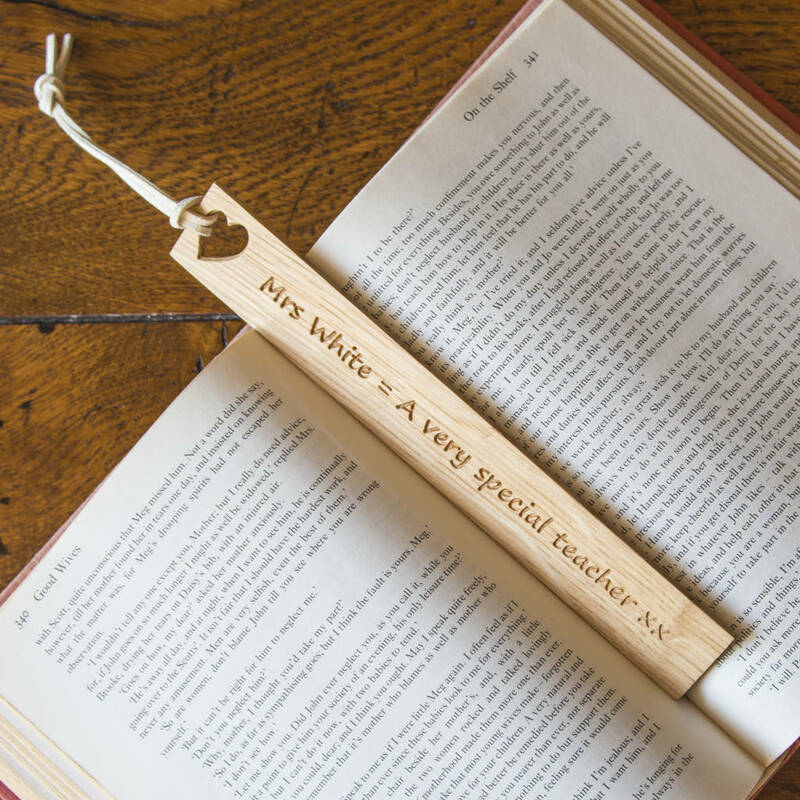 Our beautiful English Oak bookmark . Each one 100% Unique and hand made in our kent workshop with any engraving you like. Birthdays or Anniversaries, this is the perfect personal gift for that someone special that will last forever. 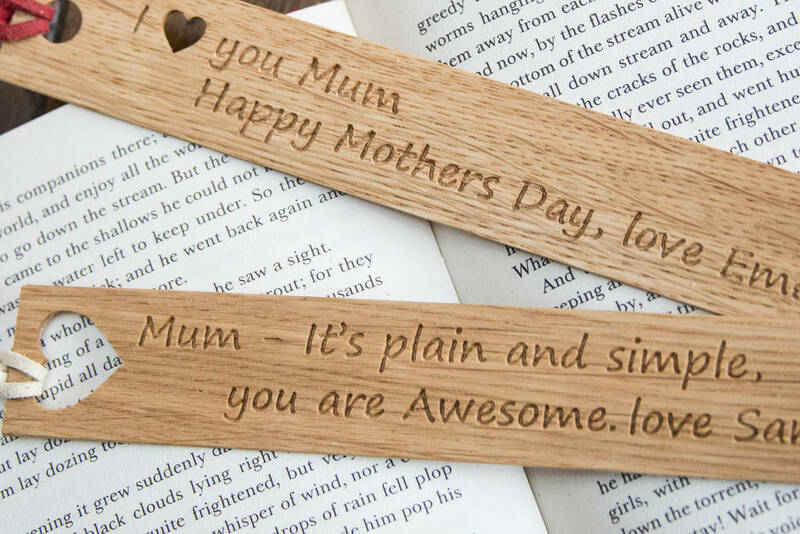 Our bookmarks are available just as they are with a leather tassle of your choice or personalised with your own choice of words.... literally anything you like !! 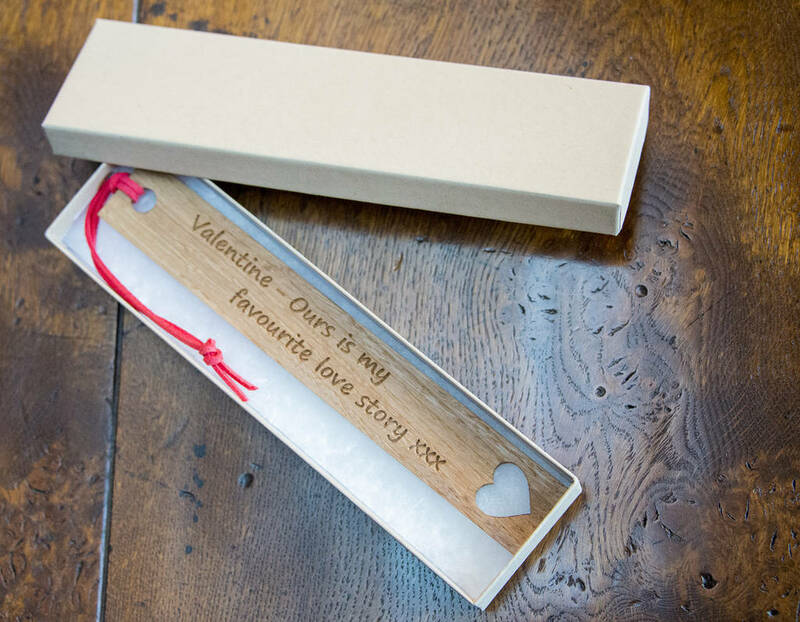 For that extra special touch, or if you have a lot to say, you can have it engraved on the front and the back. 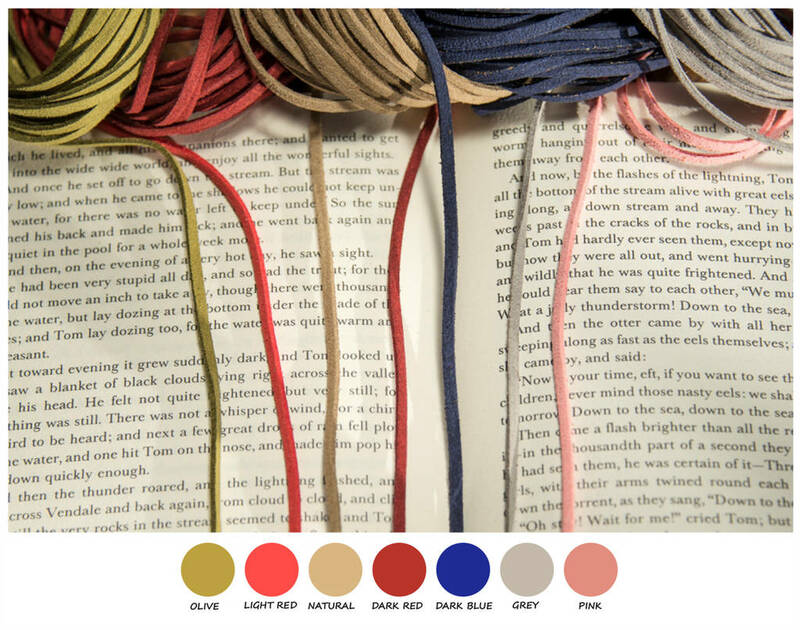 Their is also the option buy the bookmark in a rather nice lined Giftbox, as in the pictures. 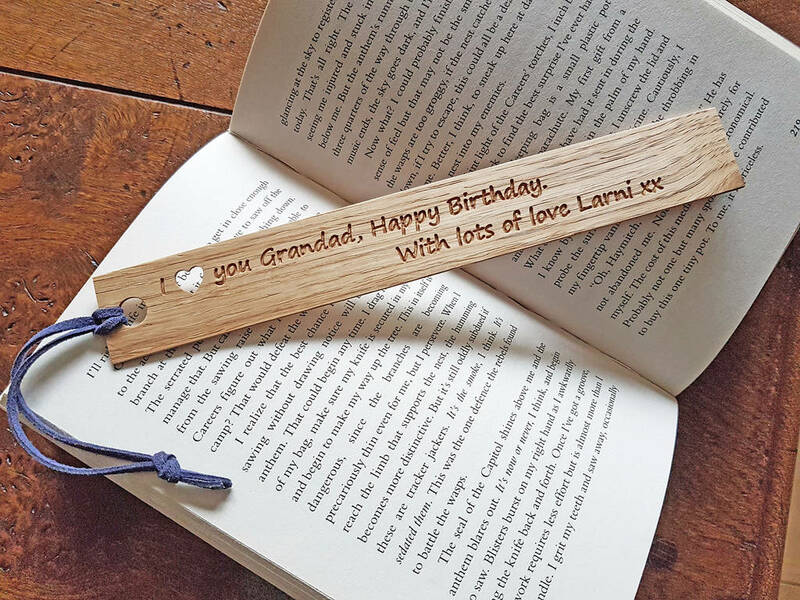 You can choose to have the bookmark engraved with up to 55 characters of your choice, you can have a heart shape tassel hole or as in the sample pictures, a normal round tassel hole with a heart hole in the end of the bookmark or go mad and have a heart at either end. IF YOU WOULD PREFER NO PERSONALISATION TEXT ON YOUR BOOKMARK, JUST WRITE "PLAIN" IN THE APPROPRIATE TEXT SELECTION BOX. PLEASE CHECK YOUR SPELLING BEFORE SUBMITTING YOUR ORDER. 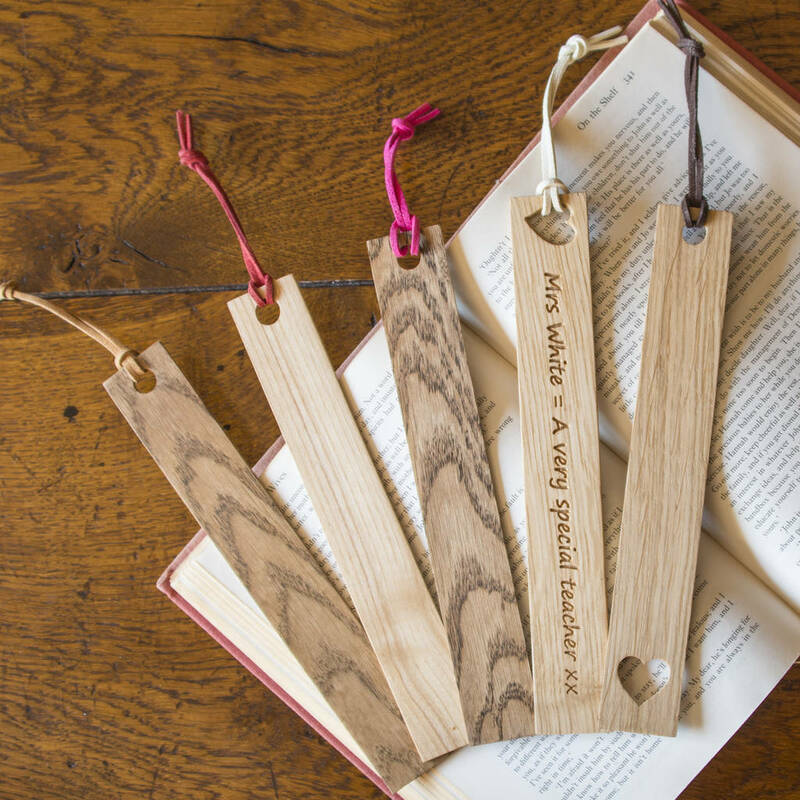 Our bookmarks are cut from the finest hand picked Englisk Oak in our Kent workshop. Then your personalisation is carved into the wood of the bookmark, we don't use lasers to burn the engraving into the wood as this can taint the wood with a burnt smokey odor. The Oak is then sealed with a natural oil, which leaves the wood clean and silky to touch. This product is dispatched to you by Natural Wood Company.